What is infrapatellar fat pad syndrome? 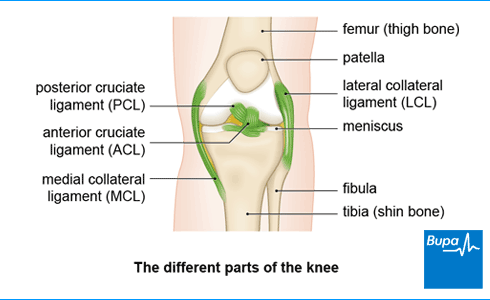 Your infrapatellar fat pad is one of three pads of fatty soft tissue lying under your kneecap (patella), at the front of your knee. It’s also known as the Hoffa’s fat pad. It sits behind and just below your kneecap (patella), where it acts as a protective cushion, separating your kneecap from your shin and thigh bones. Infrapatellar fat pad syndrome is when your fat pad becomes pinched (impinged) between your kneecap and thigh bone, or your thigh and shin bones. It’s also known as infrapatellar fat pad impingement. Your infrapatellar fat pad has a rich supply of nerves, so impingement can be very painful. Infrapatellar fat pad impingement can be extremely painful. You’ll usually feel the pain at the front of your knee, around the bottom of your kneecap. This pain may be worst when your leg is completely straight, standing for a long time or when you’re going up or down stairs. The area around the bottom of your kneecap may also feel very tender to the touch. You may have some swelling there too. Infrapatellar fat pad impingement can happen for a number of reasons. It can be caused by a sudden injury, such as a direct blow to your knee. More often though, it develops gradually over time if you repeatedly overextend your knee. This is when your knee is forced beyond its fully straightened normal position. It may be that you have a history of being able to over-straighten your knee (called knee hyperextension or genu recurvatum). The initial treatment for infrapatellar fat pad impingement aims to reduce your pain and the inflammation causing it. This can be achieved with rest and medicines to reduce pain and inflammation. Further treatments include taping your knee and strengthening exercises to gradually get you back to your usual activities. You may find it helpful to see a sports medicine professional, such as a physiotherapist or a sports doctor. Your GP may be able to refer you, or you may be able to book an appointment with a physiotherapist directly. Stop any activity that makes the pain worse. This might mean not standing for too long, being aware not to over-extend your knee, and avoiding any sports that usually make your pain worse. Making sure you follow any physiotherapy and rehabilitation programme you’re given will be an important part of your recovery. Your physiotherapist will carefully assess your knee and plan an individual programme of rehabilitation exercises to help strengthen your knee and leg muscles gradually. Treatment may involve specific strengthening exercises and training in how to avoid over-extension of your knee. Your physiotherapist may also recommend special taping of your knee. This is done in a particular way to relieve the impingement on your fat pad. You may need to keep your knee taped until your pain has gone. Non-steroidal anti-inflammatory drugs (NSAIDs), such as ibuprofen, can help ease your pain and reduce inflammation and swelling. Always read the patient information that comes with your medicine, and if you have questions ask your pharmacist for advice. In some cases, your doctor may also offer you a corticosteroid injection into your knee joint to provide temporary pain relief. Surgery is not usually recommended as a treatment for infrapatellar fat pad impingement. However, there are a number of surgical procedures which have been used when other treatments have failed. If your doctor recommends that you have surgery they will discuss the pros and cons with you, in your particular circumstances.